The ProKinetics® UltraThin™ Insoles are the original Posture Control Insoles® worn by over 100,000 people. 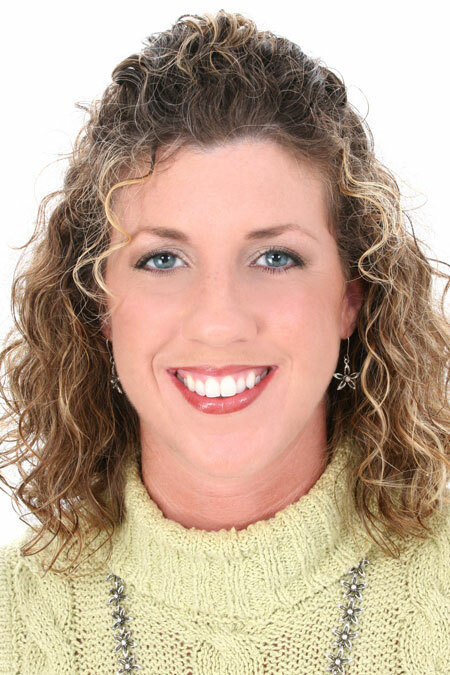 They are available in 3.5 mm and 6.0 mm correction. If you want to wear the ProKinetics® Insoles in dress shoes or shoes that do not have removable insoles, the UltraThin™ Insoles are your only choice. They can be placed underneath the original insoles in sneakers and shoes with removable insoles. 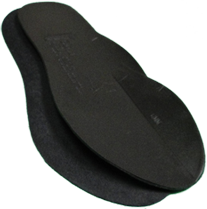 The UltraThin™ Insoles can be ordered with arch supports. If you need both 3.5 mm and 6.0 mm insoles, choose the Perfect Fit™ below - you receive the second pair at a discounted price. The Perfect Fit™ is a specially priced package of UltraThin™ Insoles specifically for people who need 6.0 mm correction, but need to start with 3.5 mm. 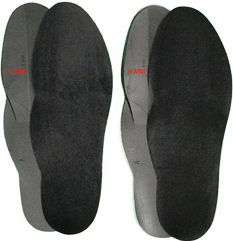 The Perfect Fit™ package contains two pair of insoles - one pair each 3.5 mm correction and 6.0 mm correction. When ordered with arch supports you receive one set for each pair of insoles. 60% of people who structurally over pronate subconsciously try to compensate for it by muscularly trying to shift weight to the outside of their feet - supinate. If the wear pattern on your shoe soles shows you are trying to walk on the outside of your feet, you belong to this group. 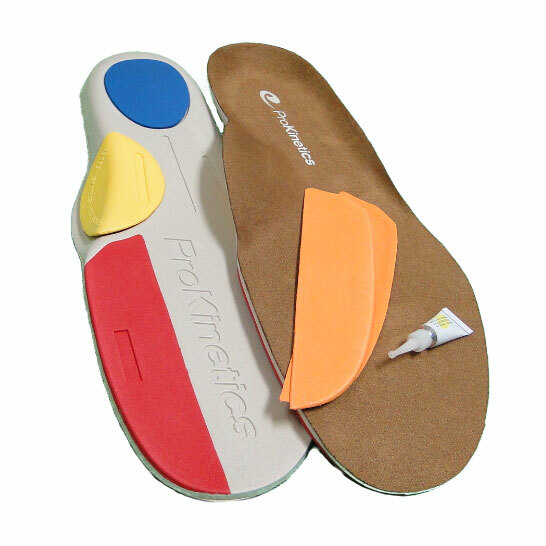 The ProKinetics® Natural Body Balance™ Insoles kit can be set up for both 3.0 mm and 6.0 mm correction. 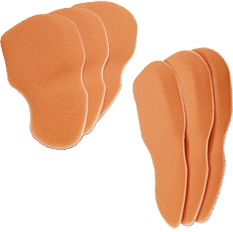 The kit has everything you need including removable arch supports, but these insoles can only be use in shoes and boots where the original insoles can be removed so the ProKinetics® Insoles can take their place. The pre installed red wedge is 3.0 mm. Add the included orange wedges (on top of the red) to give you 6.0 mm correction. Most people should remove the arches, but if you need them, secure with a couple of drops of the included adhesive. These insoles are generally too thick for use in dress shoes and loafers. The accessory arch supports are intended for the Ultra Thin insoles, but may also be used with the Replacement Insoles instead of the included yellow arch if it feels too high, or not firm enough. These arches are firm and come in two heights. 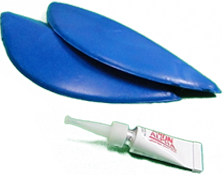 Arches can be purchased with the Ultra Thin insoles as a kit at a discounted price. You could call our Solemate™ MicroLifts™ the world's smallest orthotics. You can stick this disposable pad to your feet directly for barefoot walking or stick them on insoles, to flip-flops, open toe shoes and sandals. They are great for wearing high heels because they alleviate the common ball-of-foot pain associated with high heel shoes.